Do you dream of Epic Wedding Photos? We make it happen, here in Queenstown, New Zealand. Let me introduce myself. My name is James Hirata and I specialise in giving an exclusive, unique top-of-the-market service to refined couples from all over the world. That’s me in the video above, getting the perfect shot for another happy, classy couple. If you’re not just looking for the best - but you’re also looking for sophisticated, chic, exclusive shots that nobody else in the world has - you’re in the right place. I live and reside in Queenstown with my wife Beki, and son Hughey - it is a wonderful place to raise a family, and my photos might show you why..
Beki helped me overcome my biggest obstacle, which was for me to understand what my clients truly want - to look and feel uniquely beautiful, superior and exclusive. You don’t want your wedding photos to look exactly like your friend’s one - you want it better. in every step of the Destination Wedding Planning process. Organizing a destination wedding can be troublesome - we have packages tailored to different needs, to remove the headaches. You deserve to be the most beautiful couple, with our professional photography and cinematography. Your beauty needs, sorted in Queenstown by our team of beauty professionals. Tailored uniquely, just for you. Our packages are designed to include the most scenic locations in New Zealand, including Lord Of The Rings filming locations. Epic Night Shots are my Speciality. Thank you for the Epic Prewedding Journey bro, You do great work! We wish you nothing but success bro. Yo James!! Thank you soo much for the photos bro!! They’re epic!! And thank you for all the recommendations around New Zealand!! James, the pictures are great! Thank you very much!! They are wonderful! 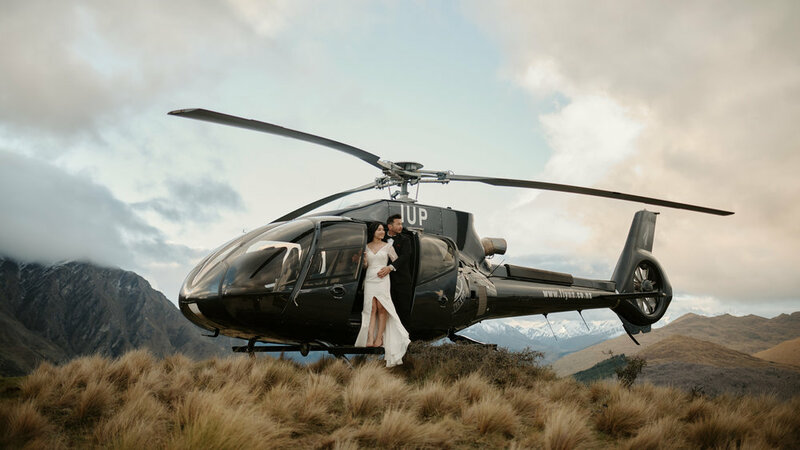 Pricing starts at $800 for a 2 hour casual shoot, $3000 for a day’s photoshoot in Queenstown and up to $15,000 for our Epic Full Elopement Package. Please enquire for our availability using the contact form below, and we will get back to you with our pricing indications. Such as: through a friend, Google search, facebook ad, tagged on facebook etc? What gallery on my website did you like the most? Was there a photo that stuck out to you? Check out our Instagram feed to see what we’ve been up to.